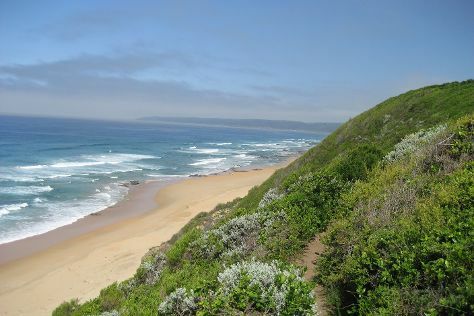 You'll enjoy a bit of beach vacationing at Brenton on Sea and Buffalo Bay. Family-friendly places like Birds of Eden and Knysna Elephant Park will thrill your kids. 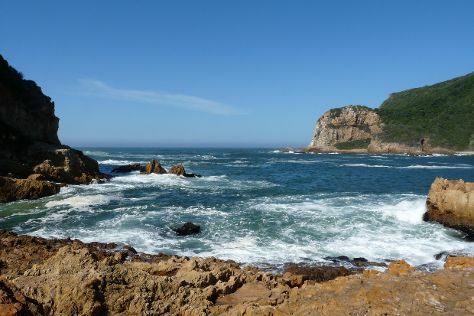 Get out of town with these interesting Plettenberg Bay side-trips: Knysna (Pledge Nature Reserve, Bollard Bay, & more). Next up on the itinerary: look for all kinds of wild species at Robberg Nature Reserve, enjoy the sand and surf at Plettenberg Beach, browse the fresh offerings at Elephant Walk Farm Stall, and learn about winemaking at Plettenvale Wines. To see where to stay, photos, traveler tips, and tourist information, refer to the Plettenberg Bay itinerary builder. Cape Town to Plettenberg Bay is an approximately 3-hour flight. You can also drive; or take a bus. Expect a bit warmer evenings in Plettenberg Bay when traveling from Cape Town in July, with lows around 12°C. Finish up your sightseeing early on the 8th (Sat) so you can go by car to George. Benefiting from a pleasant climate and prime location on the Garden Route, the town of George serves as the Southern Cape's premier tourism hub. Visiting Wilderness Beach and The Cango Caves will get you outdoors. Kids will enjoy Cango Wildlife Ranch and Safari Ostrich Show Farm. And it doesn't end there: play a few rounds at George Golf Club, have fun at Happy Valley, and contemplate the long history of The Old Oak Slave Tree. For ratings, other places to visit, traveler tips, and more tourist information, go to the George sightseeing planner. You can drive from Plettenberg Bay to George in 1.5 hours. Alternatively, you can take a bus. Traveling from Plettenberg Bay in July, George is little chillier at night with lows of 8°C. Finish up your sightseeing early on the 10th (Mon) so you can travel back home.